The lesser known Samsung x Yahoo pop-up partnership has seen Samsung experimenting with new ways to show users ads on your set – e.g. 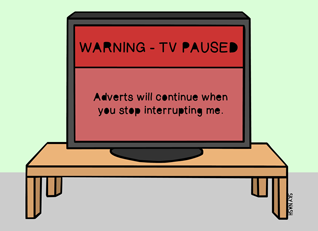 on-screen pop-up banner stylee’ – with the smartTVs inserting pop-up video adverts into television programmes and movies played through ‘third-party apps’. Supposedly an ‘opt-in’ function, the pop-ups actually require users to opt-out in order to switch the Yahoo pop-ups off. Simple, no? 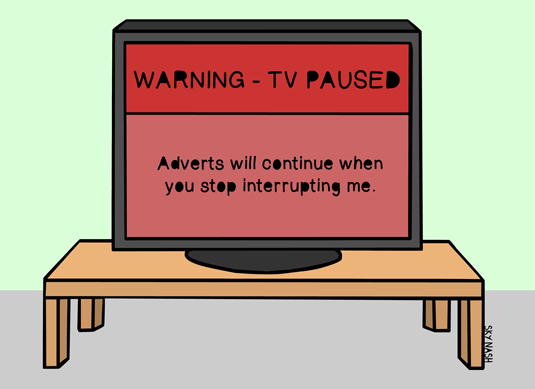 Well just don’t swear at the TV ­– it’s listening to every word you say.